A spell is cast over Disney Junior this November with the premiere of the one-hour animated special Sofia the First: The Curse of Princess Ivy. Debuting Saturday, November 29 at 6 p.m. ET the star-studded family event features the voice of film, television and Broadway actress Anna Camp (Pitch Perfect) as the wicked Princess Ivy, who is set out to rule Enchancia, as well as Mandy Moore, who reprises her role as Rapunzel from Disney’s Tangled. In anticipation of the exciting adventure, Disney Junior will be playing Classic Disney Princess-themed episodes of Sofia the First from November 24 – November 28 at 6 p.m. ET daily. 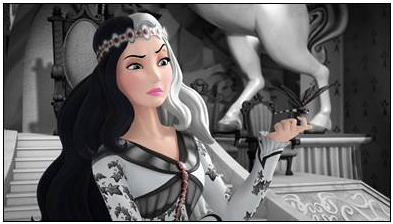 Anna Camp guest stars as Princess Ivy in the special episode Sofia the First: The Curse of Princess Ivy. and Moore, special guest stars include John Michael Higgins (Pitch Perfect) as Flambeau, the self-appointed leader of an all-dragon A capella group, and Oliver Platt (The West Wing) as Enchancia’s oldest-living dragon, Everburn. It’s a regal affair in the week leading up to the special television event with special episodes of Sofia the First featuring Disney Princesses airing each day at 6 p.m. ET. Among the Classic Princesses are fan-favourites Snow White, Aurora, Belle and Mulan. Sofia the First: The Curse of Princess Ivy will be available on Disney Junior OnDemand starting December 12. Sofia the First was developed by Craig Gerber who also serves as executive producer and story editor. Jamie Mitchell is executive producer and director. John Kavanaugh serves as songwriter/music director, and Kevin Kliesch is the composer. The series is a production of Disney Television Animation. This entry was posted on Wednesday, November 19th, 2014 at 8:14 am and is filed under Animation, National News. You can follow any responses to this entry through the RSS 2.0 feed. You can leave a response, or trackback from your own site.